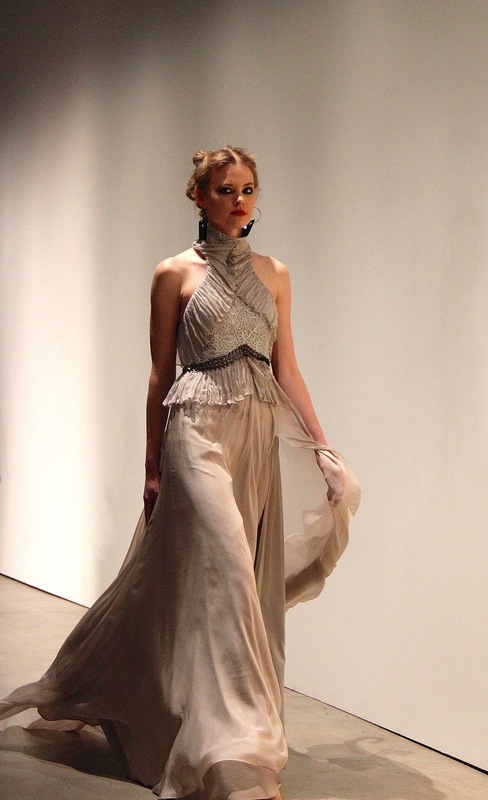 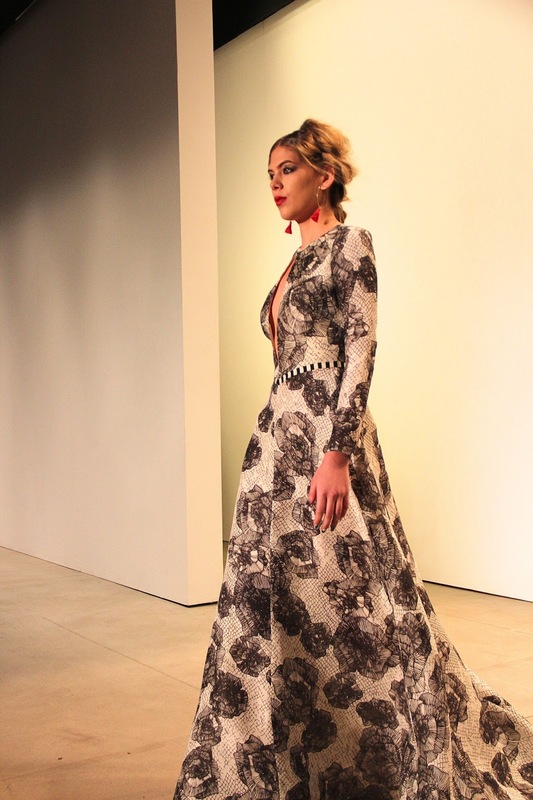 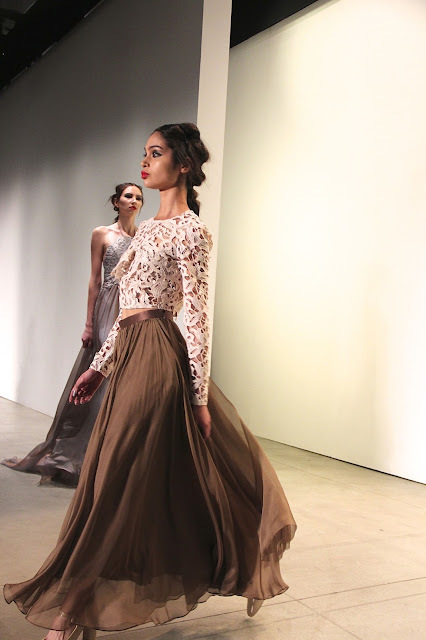 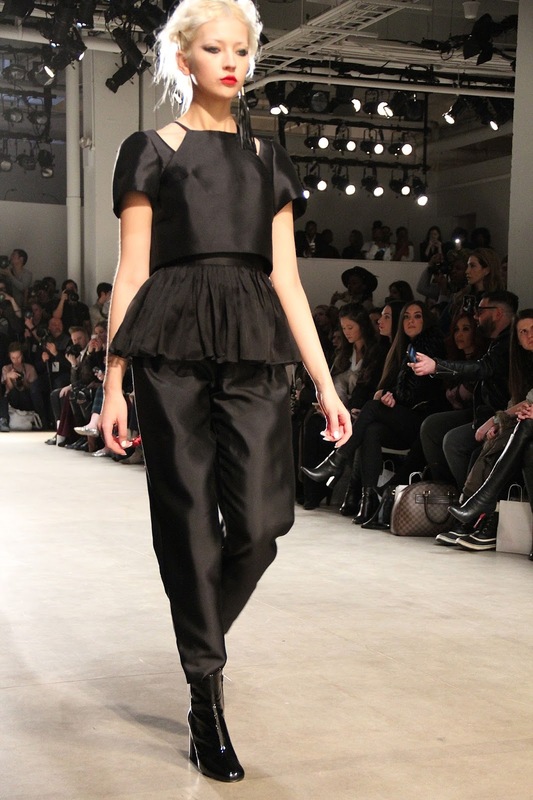 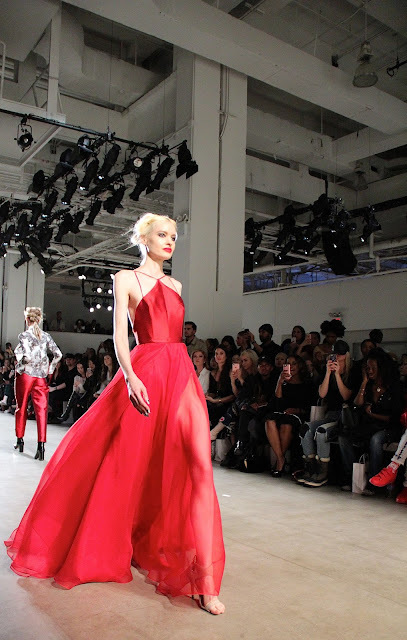 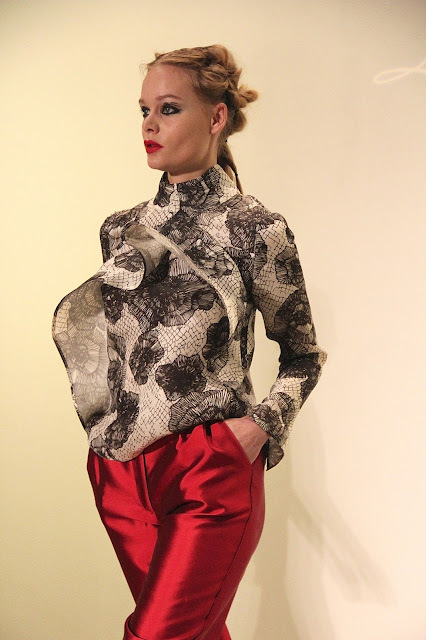 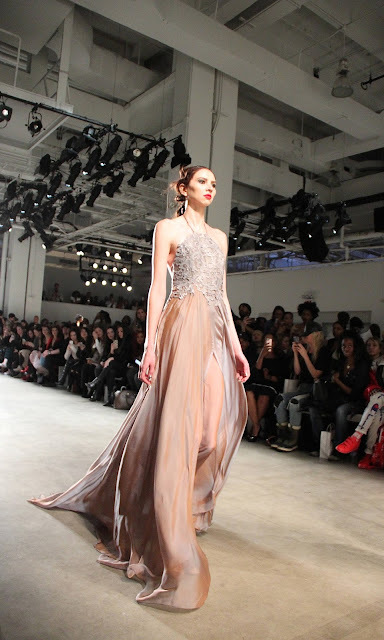 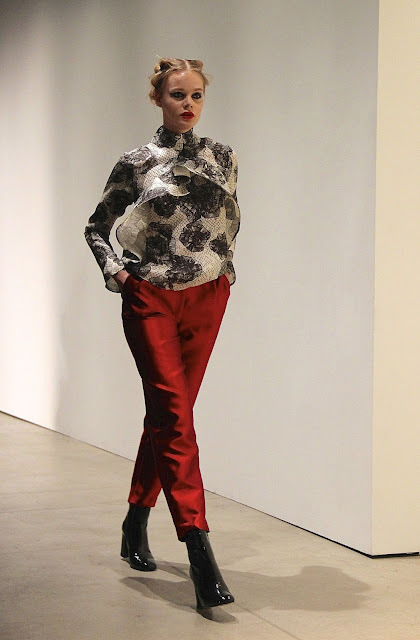 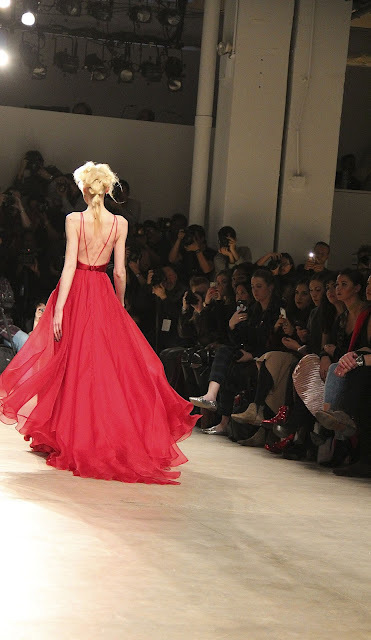 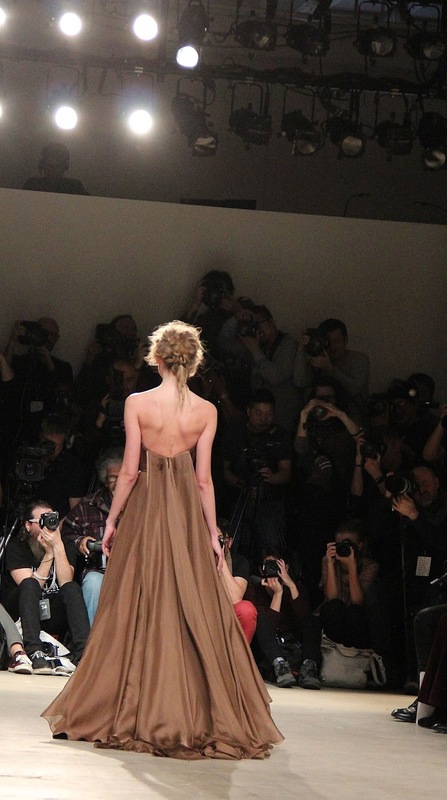 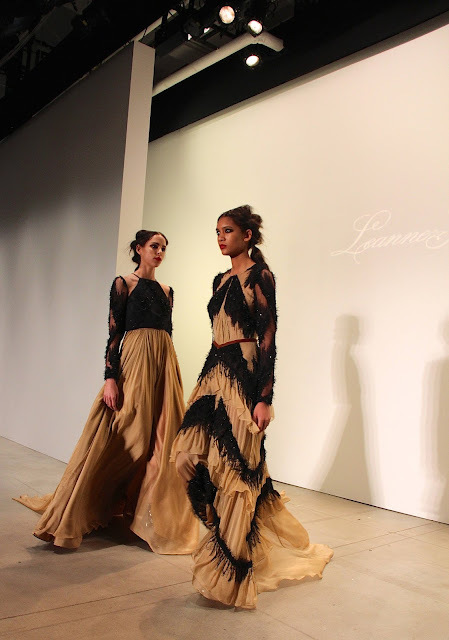 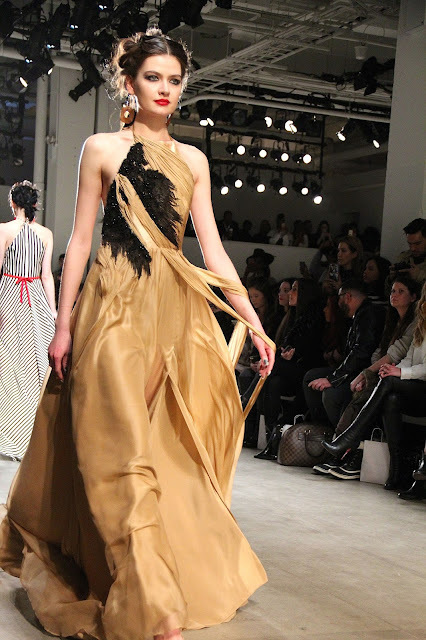 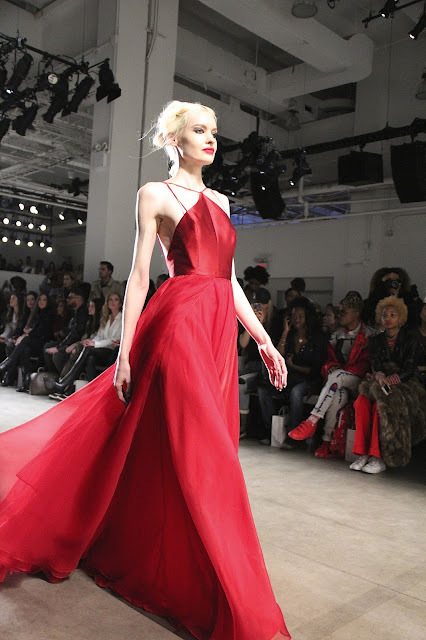 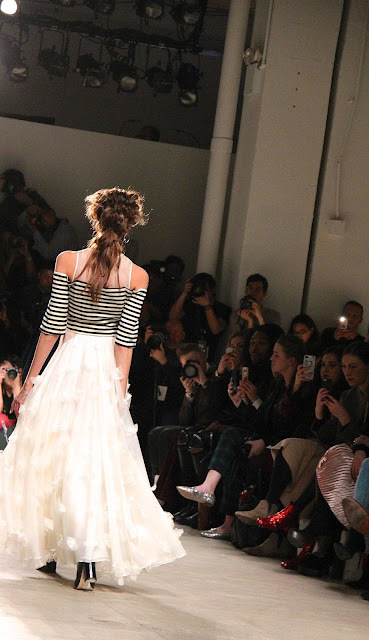 Leanne Marshall Fall/Winter 2017 at New York Fashion Week featured elegant gowns and separates in silks and chiffons with intricate beading, guipure lace appliqué detail and plunging necklines. The palette includes mauve, taupe, tan, chocolate, pops of red and surprising prints. 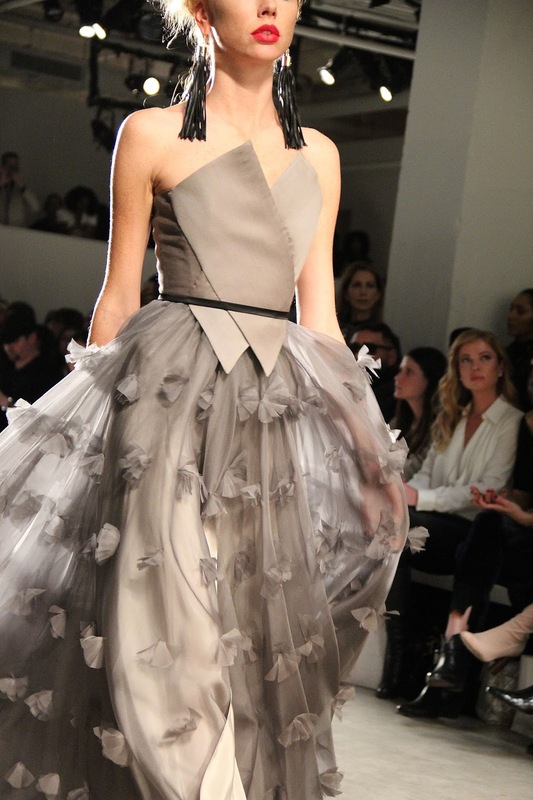 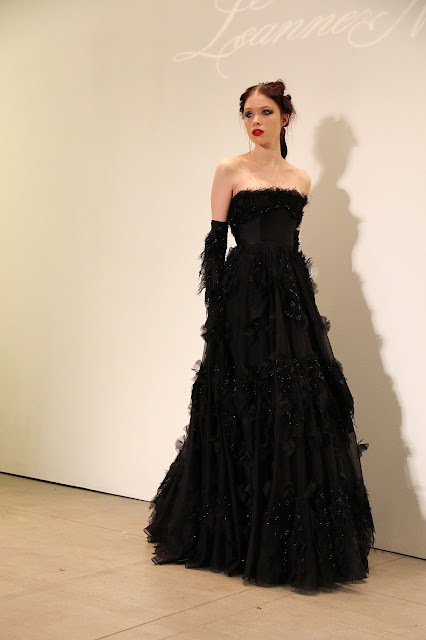 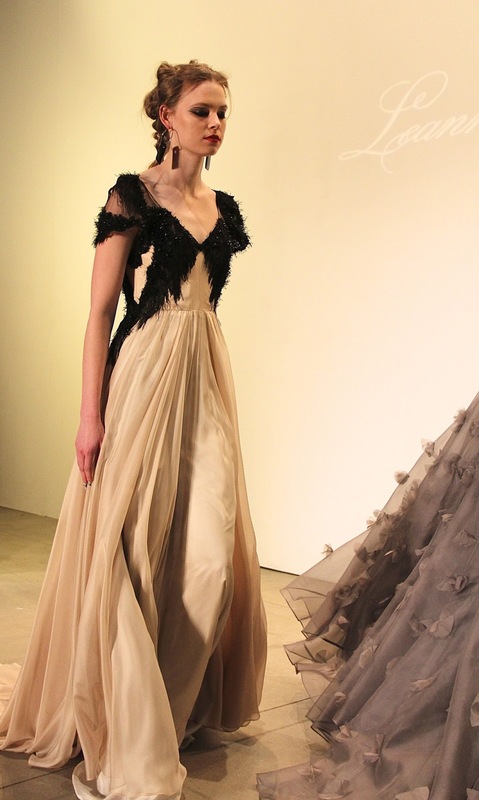 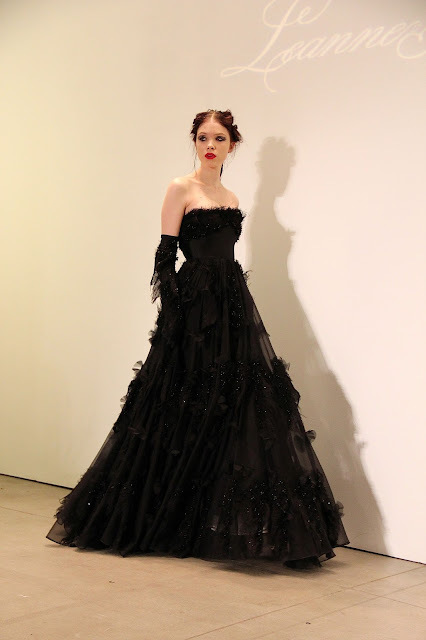 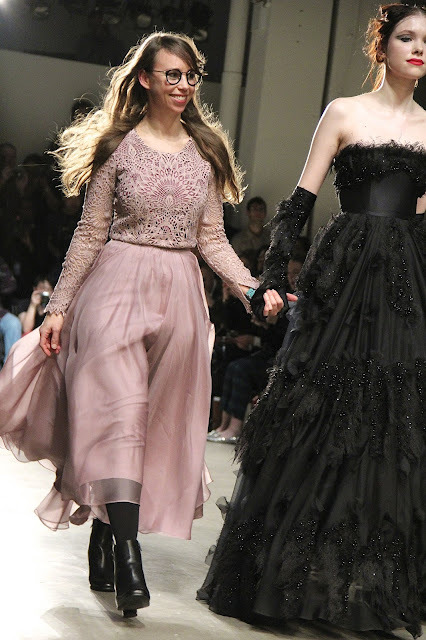 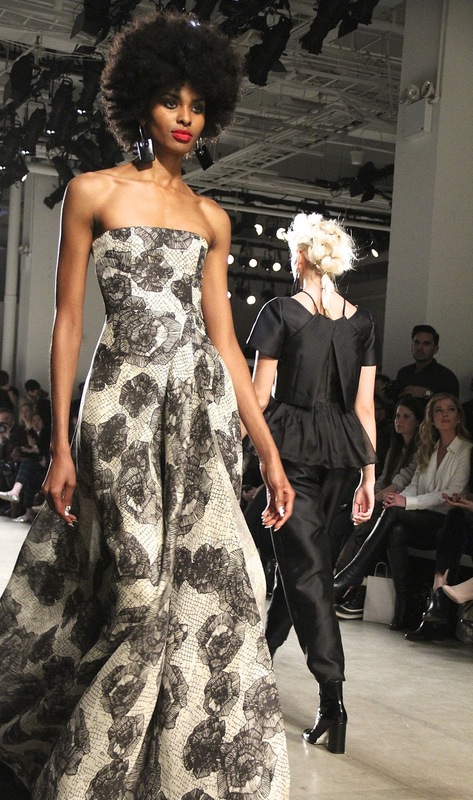 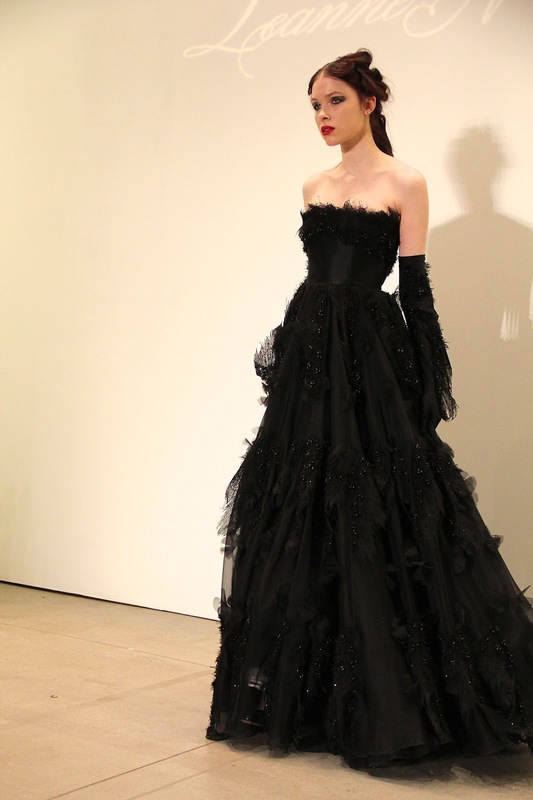 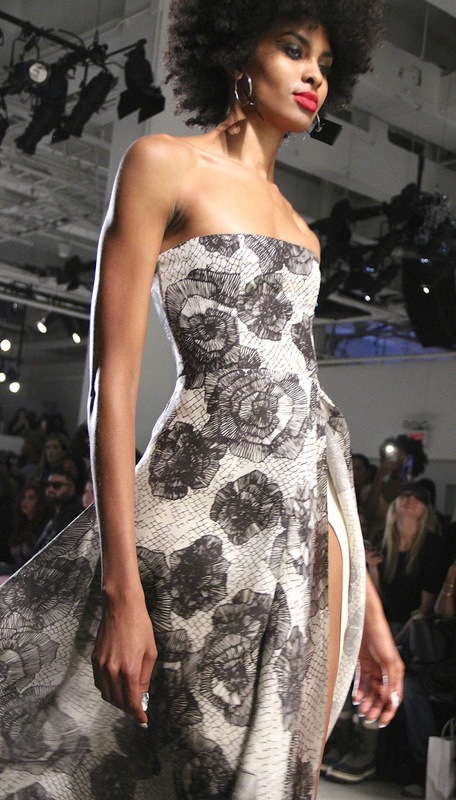 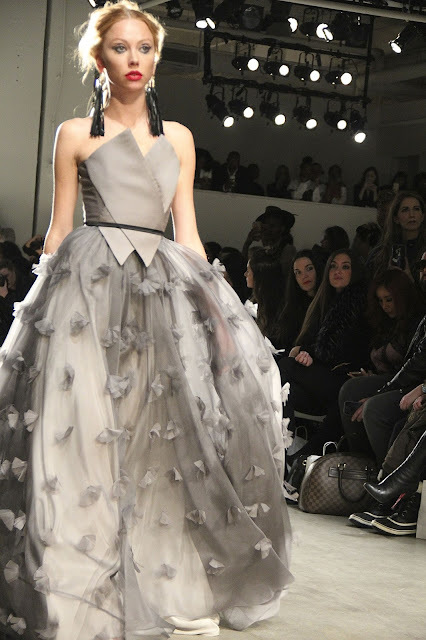 The finale look was a black strapless silk wool and organza gown with beading and feathers.